So far there was no way to connect a stereo headset directly directly to the PS3. Even if you pair a Bluetooth stereo headset the PS3 would only transmit voice during a multiplayer game but not the game sound. You would then have to rely on accessories such as the Astro MixAmp that connected to the PS3 through the optical audio out and then you can connect your headphones to the device. But not anymore. 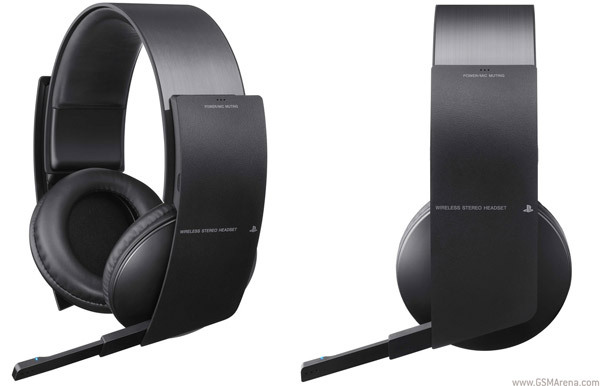 Sony has announced their own Wireless Stereo Headset for the PS3. But don’t let the ‘Stereo’ moniker fool you. The headset actually supports 7.1 channel digital surround sound for a more immersive gaming experience. There is a microphone attached to the left speaker that can be tucked in when not in use. The headset has controls on it for controlling the volume and microphone and the headphone displays status messages on your TV screen. The headset has oversized breathable earpads for comfortable gaming for hours. The matte black and brushed metal finish goes well with the new slim PS3. The headphones connects to the PS3 through a USB adaptor. The surround sound feature will not work with Blu-ray movies though. Now here’s something interesting that we noticed on the Sony PlayStation website. It says that the surround sound feature would work only with firmware 3.70 and higher. Those keeping count would know that the PS3 is currently on the 3.61 firmware and 3.70 is not even out yet. So this upcoming 3.70 firmware would enable surround sound output through the USB. What we are interested in knowing is whether this works only for Sony’s headset or other USB headsets as well. The headset will be available starting September for $99.99.